Frodsham, Cheshire. Walk close by with superb views over to Liverpool and beyond. Motorhome parking in war memorial car park at start of the Sandstone Trail. 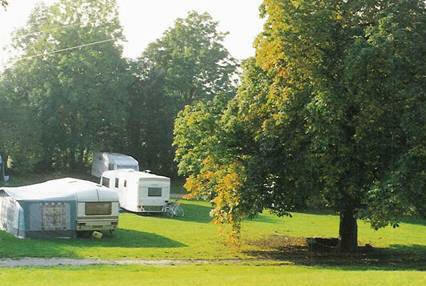 DELAMERE FOREST CAMPING AND CARAVANNING CLUB SITE a great site in a superb location for both walkers and cyclists. Good facilities and really helpful wardens on a superbly located campsite. Plenty of good walking and cycling from the site - also located about 200mtrs from a rail link just 15 mins to Chester for a good day out. A pleasant short walk around Lamaload Reservoir located just to the west of Shining Tor (roughly half way between Buxton and Macclesfield). Three Shires Head where Derbyshire, Staffordshire and Cheshire county borders all meet in a well deserved beauty spot. Plenty of walks all around this area with some great moorland views. A good walk along Alderley Edge to the town with good views and a good starting pub!! White Nancy nr Bollington, Cheshire. A well worthwhile walk rewarded with some superb views across Manchester even can see the Liver buildings and Cathedral in Liverpool ? must be 50 miles away. Chester has medieval and Roman walls and unique galleried arcades called ?The Rows?. These run on top of the ground floor shops with many old black and white buildings. The city walls are two miles in length. There is also The Grosvenor Museum and Chester Castle to visit. The National Trust properties to visit in this county are Dunham Massey, Little Moreton Hall, Lyme Park, Tatton Park, Quarry Bank Mill and the woodland garden of Hare Hill. Alderley Edge provides a dramatic red sandstone escarpment to walk along. 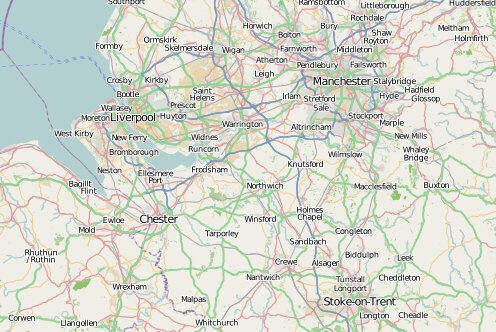 Find good cycling along Middlewood Way, Biddulph Valley Way, Whitegate Way and the Wirral Way.